In a large skillet add butter and/or olive oil on medium high heat. 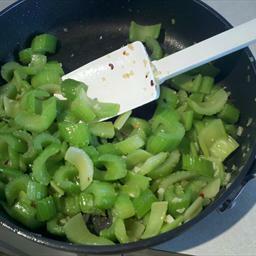 Add sliced celery & chopped garlic. Season & stir until crisp-tender about 6 minutes.